Everywhere has a “best ribs” claim (I bet even somewhere in Alaska some Eskimo is smoking some amazing pork ribs). 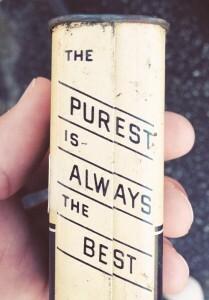 And, you know, people are right. Every place does have a great rib joint. And, as with most things in life, it is difficult to compare best to best … particularly when you are talking about taste & food. I have lived in 11 different states. And everywhere I have lived has claimed to have the best ribs (and locations include Dallas, Georgia, Ohio and North Carolina … although rib connoisseurs seem to gravitate to the south). It is difficult to believe everyone is right … but they just may be. On any given day any one of these places may actually be the best. 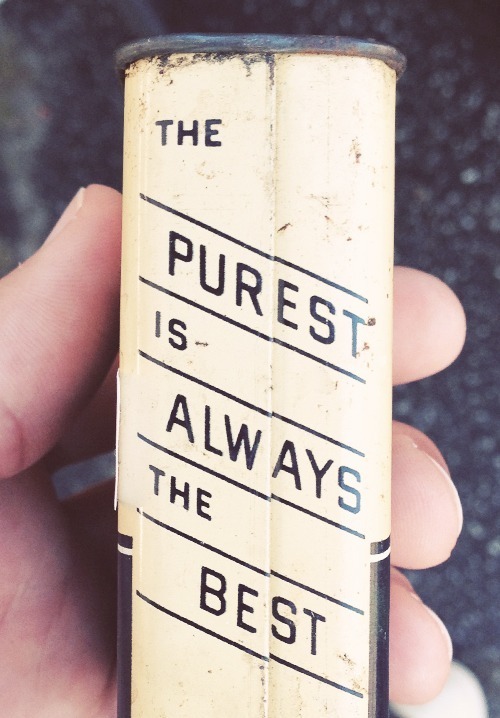 And they are all darn good. I will admit, if I had to vote once, I would vote with a memory (because it has been decades since I tasted their ribs) of “the best” I have ever tasted residing in Owensboro Kentucky (don’t laugh but I was there for business). Even better for the memory is I ate them with a great business friend named Pike (who wore something like a 58 regular jacket his shoulders were so big) and the ribs were awesome. On a side note … someone should remind me to tell the story of how Pike was driving a 4-door nondescript Ford and got lost in Washington DC and stopped at a corner to ask directions … it was like a cross between a linebacker looking FBI agent stopping to share some jokes with the boys in the local ‘hood. Don’t ask me technical things about the ribs like dry or wet or whatever. They just tasted great (that is my dining rating system – tastes). OK. I digress. Most places in America (except maybe Hawaii I guess) have a great rib place. But I may now have a new one for you. 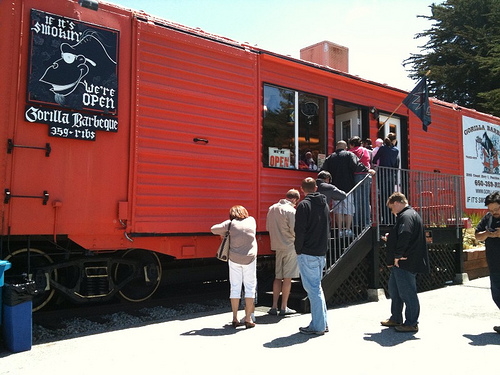 In a little beach town of Pacifica in Northern California there is a place called Gorilla BBQ. It is in a train car. Take out only. The guy who sits behind the register is Gorilla (needless to say he is a big guy with outstanding chin hair). Big personality. Remembered my name the second time I came in a week later. Traded random quips with my kooky mother. But that is not the reason you should stop there. Walking in there are 4 items. Ribs. Chicken. Beef brisket and some other meat I can’t remember but not relevant to this. I was tempted to order brisket (mom did and it had a wonderfully smoky tasty and so moist you could have it melt in your mouth). I asked Gorilla what he recommended. 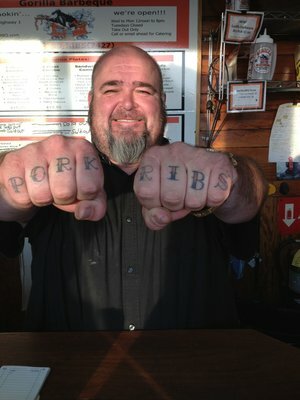 Put down the pencil and showed me two fists where PORK RIBS was tattooed on his knuckles. <Think he’s passionate about this? … whew … I hope he doesn’t leave this and become a sushi chef someday ...>. The recommendation was dead on … amazing ribs. Meat falling off the bone. How can you not make great ribs if you’ve tattooed yourself with the promise? Gorilla BBQ and pork ribs (although anything is good there). While to me there is no one “best ribs” gorilla is worth stopping by. Even if it is just to meet Gorilla.